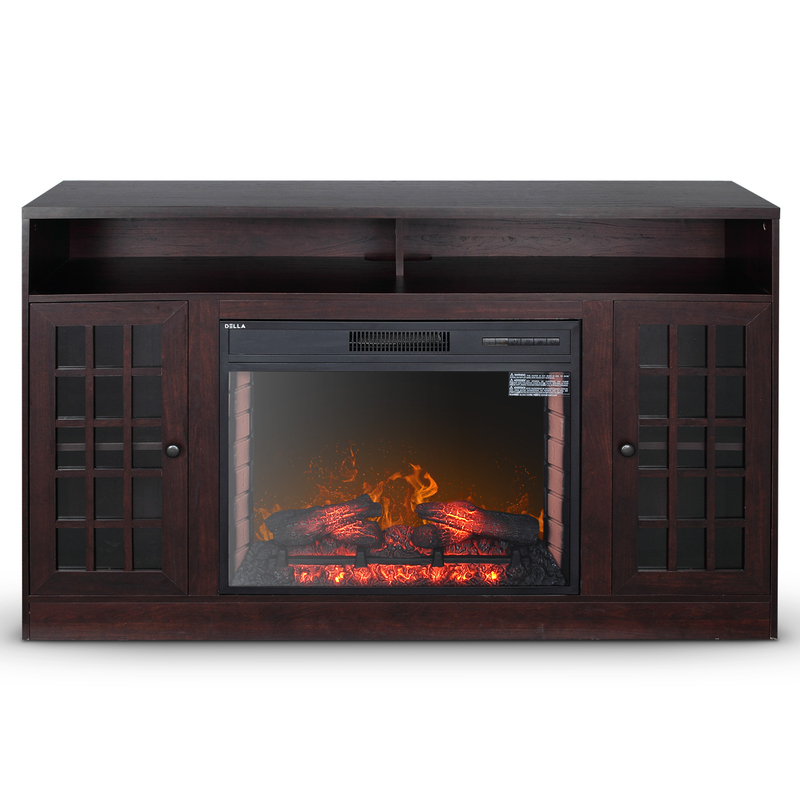 Live the luxurious life with this glazed pine infrared fireplace media stand. 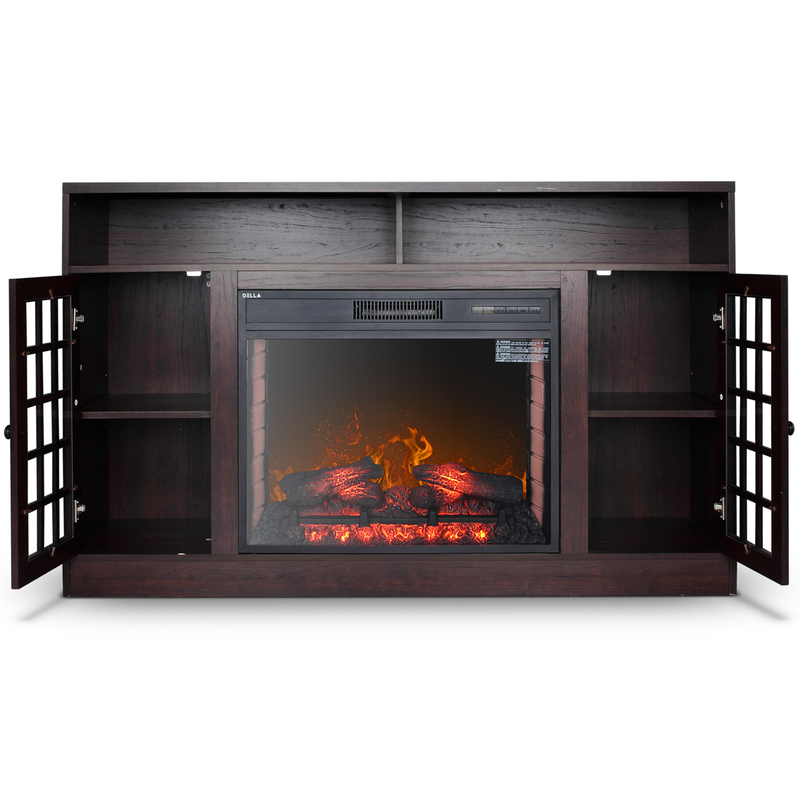 Lattice-door cabinets show off storage for everything from DVDs to pet walking goodies; two media shelves effortlessly handle your electronic equipment or entertaining ware. 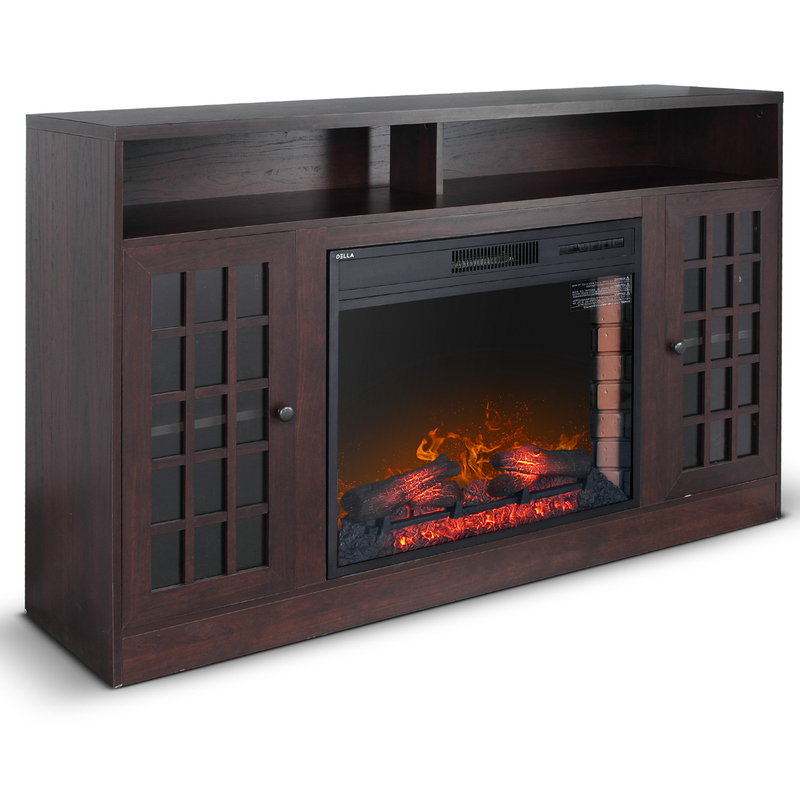 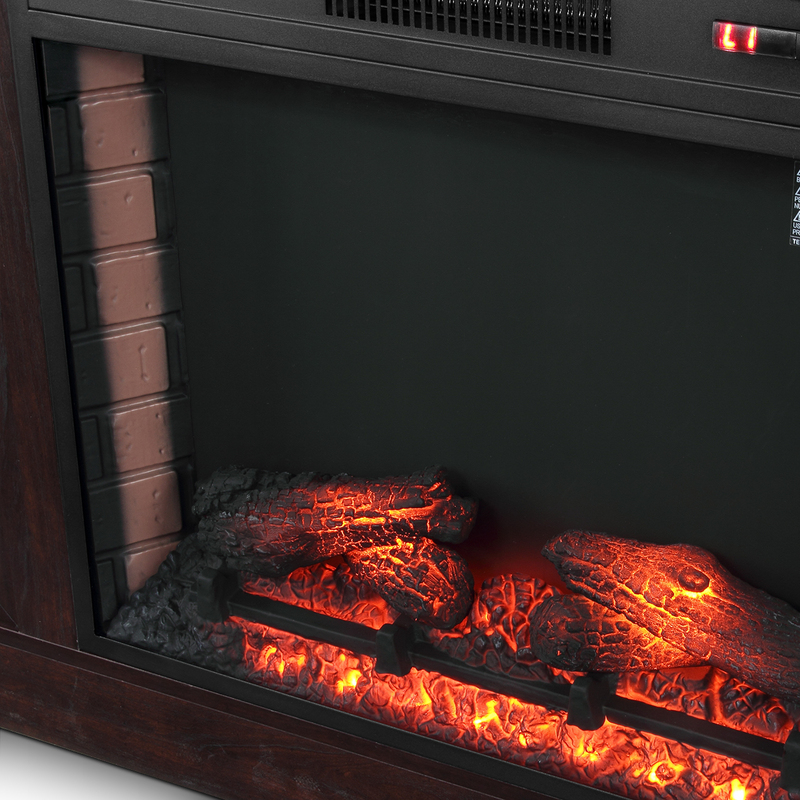 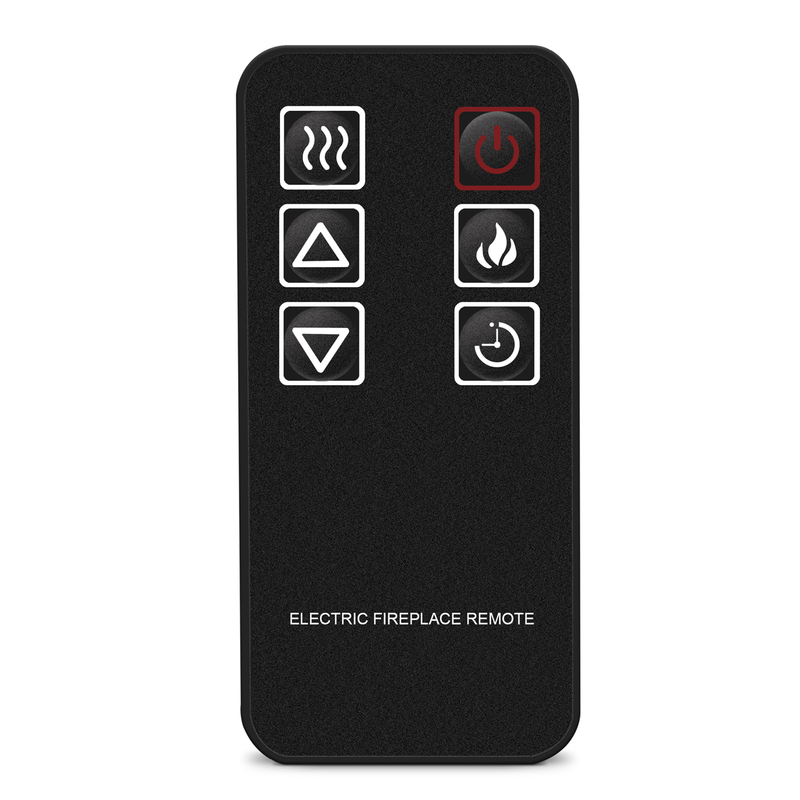 Ignite your style with this infrared media fireplace in a formal living area dining room or entry parlour.